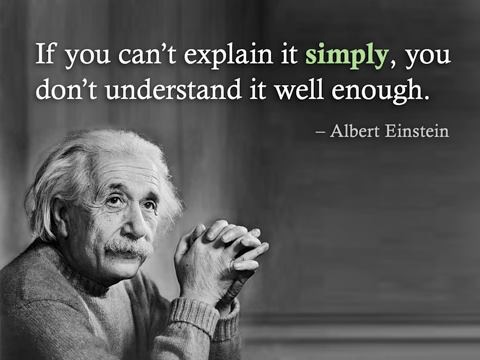 Your Channel Marketing Program: If you can’t explain it simply,…. …you don’t understand it well enough. And your channel partners understand your programs even less than you. I have seen Channel Program Brochures that are 10 pages long, and presentation Channel Program overviews that are more than 40 slides. 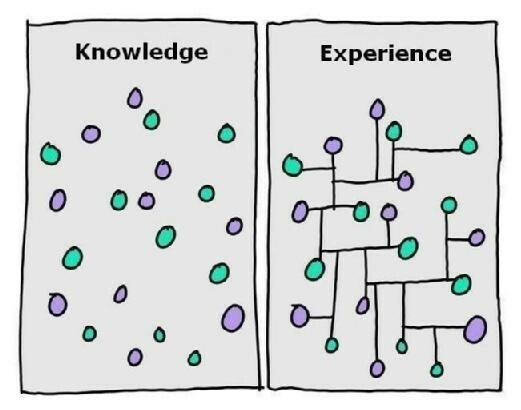 We often get so involved in delivering MORE resources and MORE benefits, that we get trapped into thinking MORE is always better. It can be—to a point. Usually more resources and more benefits are a positive, but if your program needs a map and compass just to navigate through it, chances are you’ve overdone it. Move the Channel has developed a Channel Marketing Guide & R.I.M.E.S chart. Don’t be trapped into thinking that you need to employ every one of the bullet points in your channel marketing program. Rather, consider the few that would be most impactful for your business and the relationship you have with your channel partners. In today’s global and telecommuting marketplace, conducting in-person meetings or “workshops” with a vendor partner is rare. Due to varying locations, busy schedules, and more travel expense restrictions, the face-to-face time usually suffers. Because of this, the development of a global channel loyalty program will often consist of many video and web conferences, but only a couple of in-person meetings. In many cases, those in-person meetings turn out to be one-way presentations rather than creative collaborations. That is why I am a fan of extended “workshop” meetings, where partners are able to meet face-to-face to develop their business. Without this type of meeting, a client can miss out on two key components of a successful partnership. Without a workshop, the client would not have the chance to meet the entire team responsible for executing their channel loyalty strategy. Because of the extended time, all of the important components of the team can be personally introduced, including operations, customer service, program management, development, marketing, communications, and global specialists. In addition, time spent with the executive management can serve as a reflection of the organization’s overall strategy and success. When you are launching an innovative global program, what is more important than trusting your vendor partner and having confidence in the team responsible for your initiative? For better or worse, these two critical components can only truly be achieved through the old fashioned method of getting on a plane and heading to your partner’s headquarters. I am convinced that this should be a requisite when it comes to any strategically complex channel incentive program. The investment and impact is too significant to approach it any other way. Don’t get me wrong, I am a huge believer in virtual meetings, and I know they are an efficient way of getting many things accomplished. But when it comes to initiatives that require great understanding between the client and vendor partner, there is no substitute for an “all in” session. Finally, speaking from experience, it’s also not just the client who benefits from such an engagement. In-person meetings are also tremendous opportunities for the vendor partner to learn what real challenges and opportunities are facing their client and the rest of the industry. The ability to build and learn from new relationships with other passionate, driven channel marketing leaders, can aid long-term goals and even create friendships. As someone who is passionate about the channel, I know this has been true for me. LinkedIn Group collaborates to deliver a very unique Channel Marketing Guides& RIMES Chart. It wasn’t easy to organize hundreds of ideas from a network of thousands of people from all over the world. But we did it. Move The Channel’s unique Channel Marketing & Sales 1.0 eBook is now available for you to download exclusively on movetheChannel.com. What makes 1.0 the first of its kind? As most of you know, this project started over a year ago as a simple discussion in the Move The Channel LinkedIn group. It grew from there to an all-out deluge of ideas from all across the Move The Channel community. As we began organizing all of the different ideas and channel best practices that were coming our way, distinct categories started to become clear. These categories are what we now refer to as “RIMES” — Relationships, IT, Marketing & Communications, Enablement, and Sales — and they are what we at Move The Channel consider to be the pillars of any successful channel marketing campaign. Please provide feedback so we can continue to enhance the Guide & Chart. MoveTheChannel 1.0 is the first step in an ongoing line of literature about channel marketing and sales. Our plan with 1.0 is to throw a net around a wide range of industries and promote the basic tools that have been proven to generate success across multiple access points within the channel. Enjoy! Distributor Prospective: Out of Control SPIFFS! As many of you may know, I spent 7 wonderful years at a North American Distributor where I oversaw the business, sales force, and partner relationships in the Mountain and Pacific Time zones. In the IT space (and many others) SPIFFS are part of the sales channel culture. I considered these vendor spiffs to be a great sales tool, and successfully leveraged them to motivate my sales team and grab the attention of the VAR dealer channel. It was a win-win-win all the way down the channel. The Vendor obviously got the mindshare of the distributor sales, which led to increased engagement with the VAR dealers. As the distributor in channel I was pleased with the success of the SPIFFS, (although our CEO never cared for them), because I was ultimately able to leverage vendor monies and incentives to achieve the goals of our sales team. All was in balance. Yes, that worked for a medium sized distributor that was laser focused in Document Management and Enterprise Content Management (ECM). We had a minimal number of vendors to manage and that was by design. What works for small- and medium-sized distributors, however, does not always translate into success for Larger Distributors. Today I work with businesses that distribute hundreds or even thousands of vendor brands. With SPIFFS coming from every direction, how on Earth, as the distributor, am I supposed keep my sales team focused on MY company’s goals? And how do I benefit or build goodwill with the SPIFFS that target my personal VAR partners? One option is to adopt the Wild West attitude of SPIFF management and allocate an army of marketing managers each with their own vendor focused on communication and goals. More often than not, this is how the system is managed. Option number two is to build a SMART brand Reward Zone that you, the distributor, own and can invite the vendors to participate in and fund. But don’t worry vendors! You can have your own promotion and rule structure under the distributor Reward Zone umbrella. Ahhhh…..Can you feel the channel universe falling back into balance? Here’s the best part. You now have a Distributor-branded Incentive Platform where YOU control the messaging to your sales team and channel partners. Vendors will be excited to help fund the program and make sure they are getting the mindshare of YOUR channel! I would love to see your thoughts and comments below, or contact me directly here: http://movethechannel.com/?page_id=70.